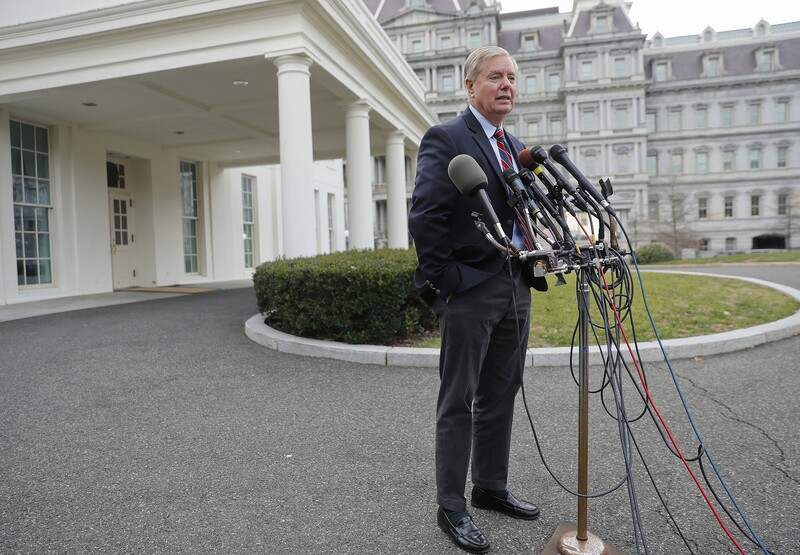 “The president understands the need to finish the job,” Graham told reporters outside the White House after what he described as a two-hour lunch meeting. “He told me some things I didn’t know that made me feel a lot better about where we’re headed in Syria,” the South Carolina lawmaker said. “I think the president is committed to making sure when we leave Syria that ISIS is completely defeated and we are inside the 10-yard line,” he said, using an alternative name for the Islamic State group. When Trump tweeted on December 19 that “we have defeated ISIS in Syria,” several military and security experts said he was overstating the case, and warned against a hasty withdrawal. Graham, who as a member of the Armed Services committee has frequently visited US troops in combat zones, was once a frequent critic of Trump but, reversing course, now frequently defends him and seems to have gained privileged access to the president’s ear. “I’m going to ask the president to do something that President Obama would never do: reconsider,” he said. Graham said he knew Trump was “frustrated” by his limited options in Syria. “The president is reconsidering how we would do this,” Graham said. Kellyanne Conway, a close Trump adviser, seemed to hint that the president might be rethinking his withdrawal plans. Trump’s abrupt decision on Syria stunned regional players, US politicians of both parties and military leaders, who expressed surprise that such a major decision would be announced after apparently so little advance consultation, against the advice of his national security advisers — and on Twitter. “We have a tumultuous regime or region (in Syria) that now has a Russian presence which had been out for about 30 years,” he said. Similarly, he said, Trump’s planned drawdown in Afghanistan could seriously undercut American leverage there. “Just when we were starting to sit down with the Taliban, just as we were starting to begin negotiations, he basically traded away the biggest leverage point we have,” McChrystal added. This entry was posted on December 31, 2018 at 11:23 AM and is filed under Uncategorized. You can subscribe via RSS 2.0 feed to this post's comments. You can skip to the end and leave a response. Pinging is currently not allowed.